For the most part, we had the entire place to ourselves. 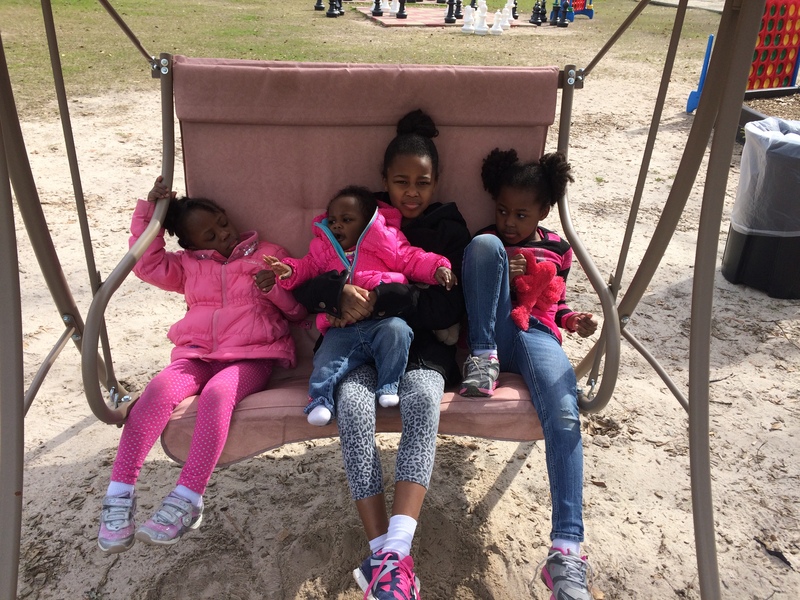 It was a glorious time – swings, slides, horseshoes, zip line, petting zoo, and miniature golf, and at some point I managed to bond separately with each of the girls. 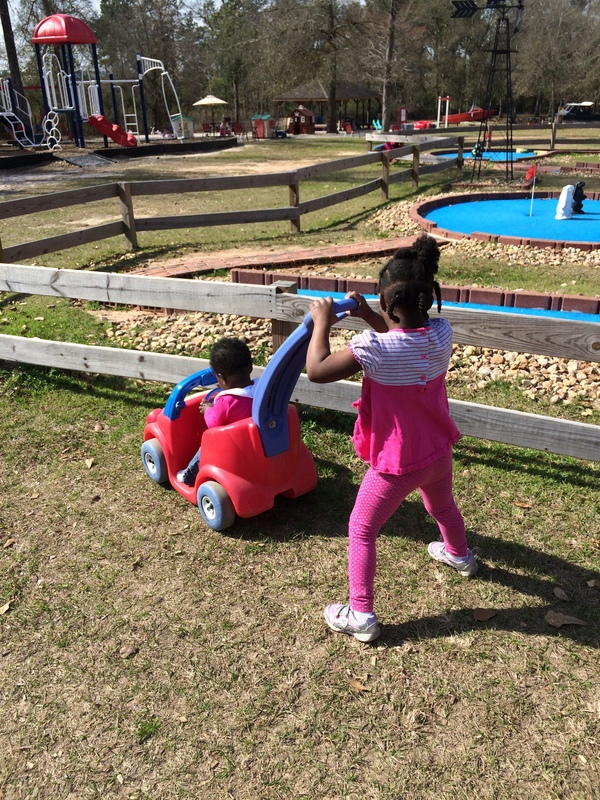 We ended our afternoon with lunch at McKenzie’s BBQ and dessert at Montgomery Bakehouse. 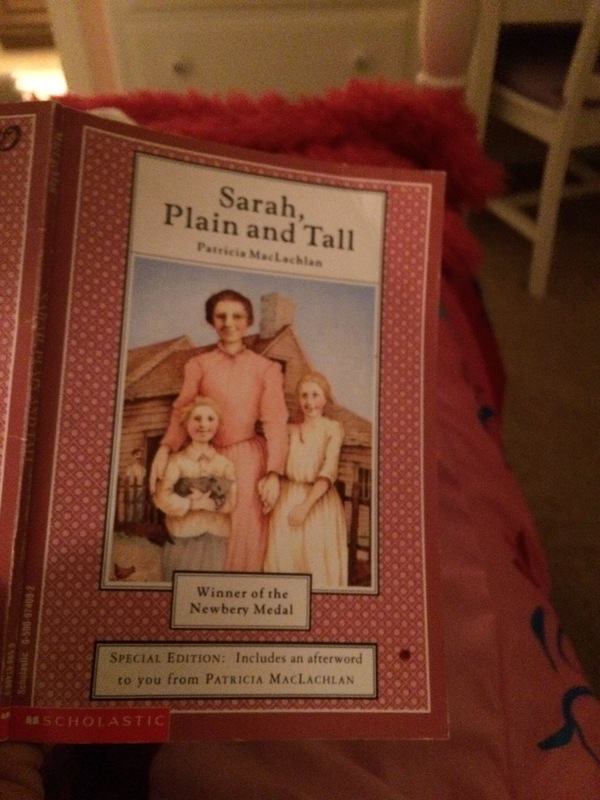 Our last read-aloud book was Sarah Plain & Tall. I didn’t find this book as engaging as some of the other pioneer books we’ve enjoyed, but it was a short read and Olivia and Farrah seemed interested enough. I’m still trying to figure out what to read next. Any ideas?